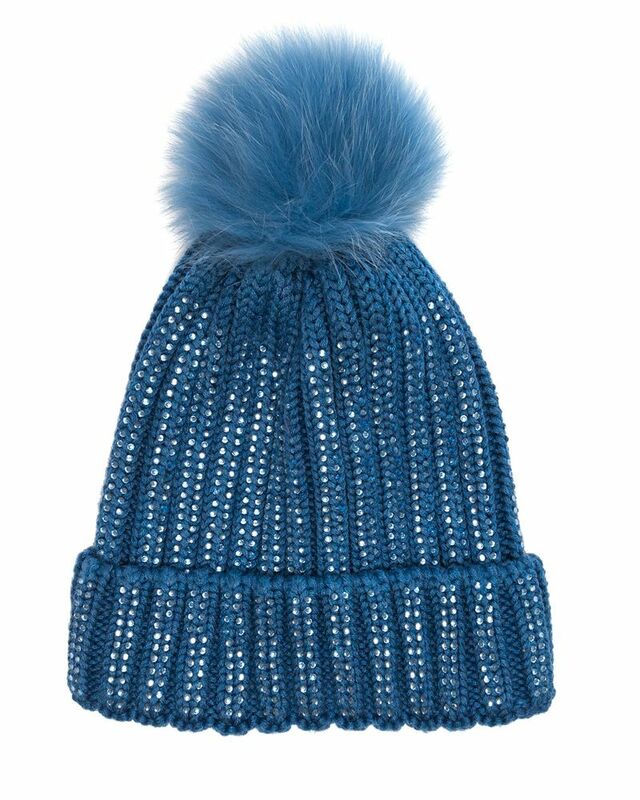 Monnalisa soft knit blue glitter pom-pom hat. 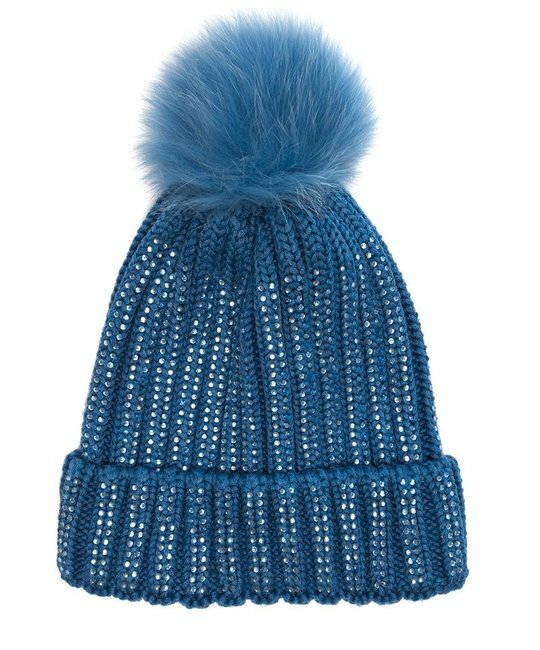 37% Polyester, 23% Acrylic, 21% Polyamide, 19% Wool, Fur: White Fox. Imported.